Welcome to my photo tours as well as photography and post-processing workshops. Make your selection below and learn more about the individual courses that are offered. 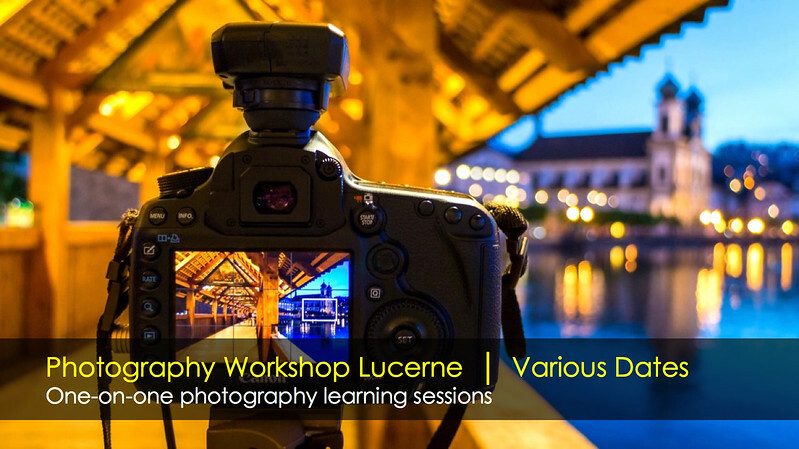 Workshops are available in different complexity levels for hobbyist, photo enthusiast as well as professionals. 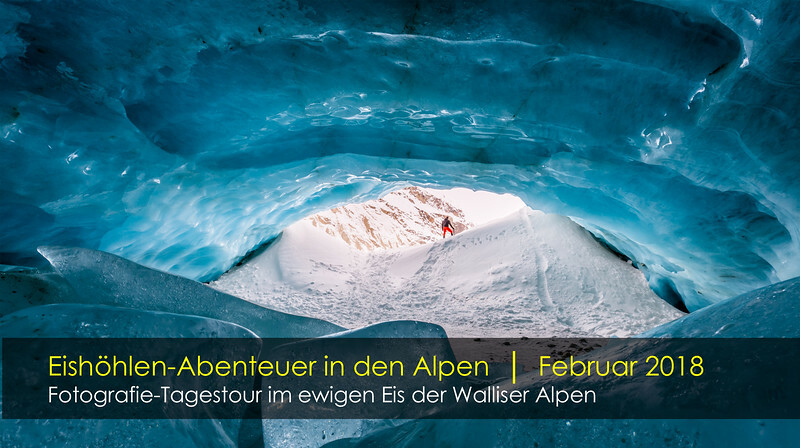 Diese spezialisierte Fotografie-Tagestour führt dich in das innere der spektakulären Gletscherwelt der Walliser Alpen in der Schweiz und ermöglicht einmalige Aufnahmen aus dem Inneren einer Gletscherhöhle! Meine persönlichen Lieblingsorte in der Stadt Luzern habe ich immer wieder zur blauen Stunde fotografiert. Dabei entstand eine umfangreiche Fotokollektion, in der sich die Stadt in ihrem besten Licht präsentiert. Eine Auswahl dieser Bilder ist von Januar bis Ende Juni 2018 in Luzern ausgestellt. 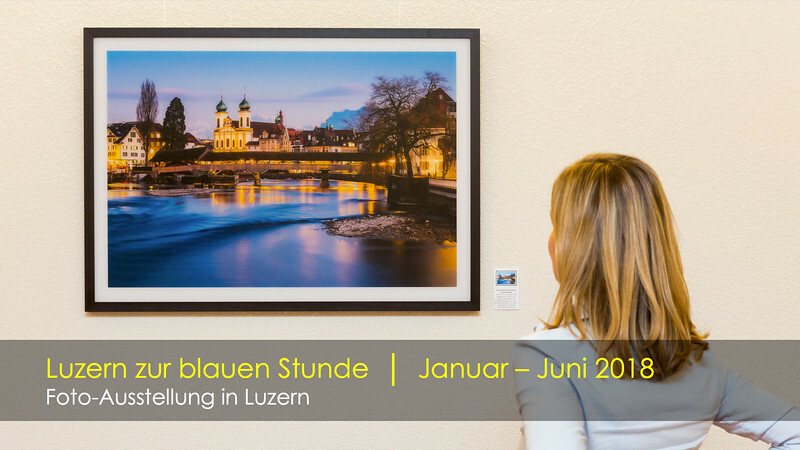 You are going on a holiday trip to Lucerne and want to bring home breathtaking images? Together we visit and photograph the best places in town during the best light of the day. “ I have very much enjoyed my participation to the Photoshop training. During the training not only the optimal use of various functions of the application has been explained in detail, but also a good view was given on the key differences in photographing jpg versus RAW. Thus in a nutshell, the training was very valuable for me, especially when you want to take your photo post-processing seriously. A true recommendation! " " The Adobe Photoshop training was very useful for me and a huge step forward in photo post-processing and the way I work right now. Especially the part of working with RAW files, layers and masks and the use of actions was very instructive and helped me creating a good workflow and understanding post-processing better. Enjoyed every minute of good and entertaining training, still using the basics I learned during these days. You definitely should grab the chance if you have the chance to learn from Jeroen. "